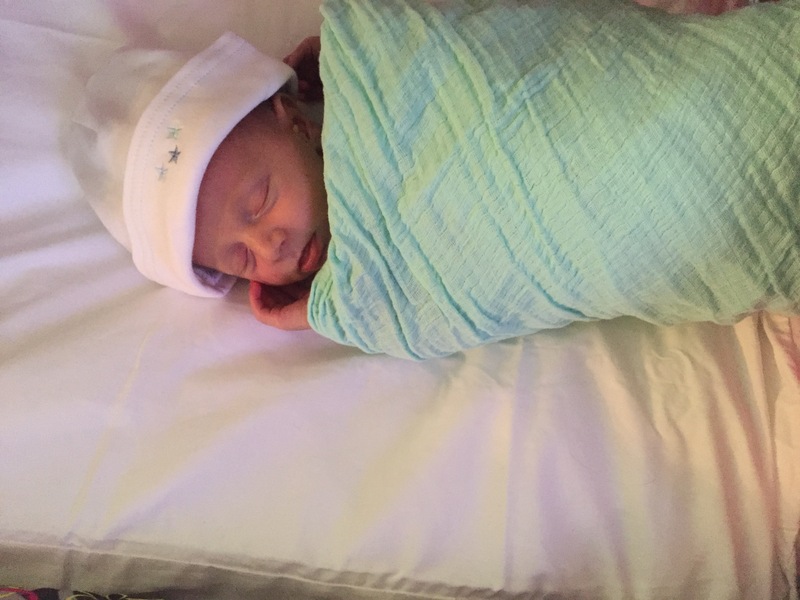 Our firstborn, our sweet son Luke, was born on August 22. 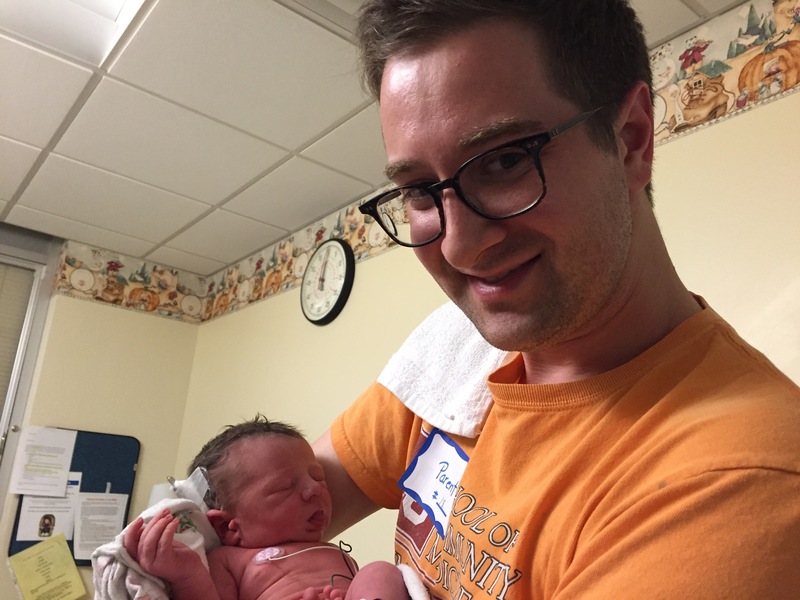 Leading up to his birth, we knew that fluid wasn’t draining properly from his kidneys, and three days before I was induced, a nephrologist told us that he would have to be admitted to the neonatal intensive care unit (NICU) after delivery. As much as I was dreading my baby having to go to the NICU, I was grateful to know that would have to happen even before his birth. 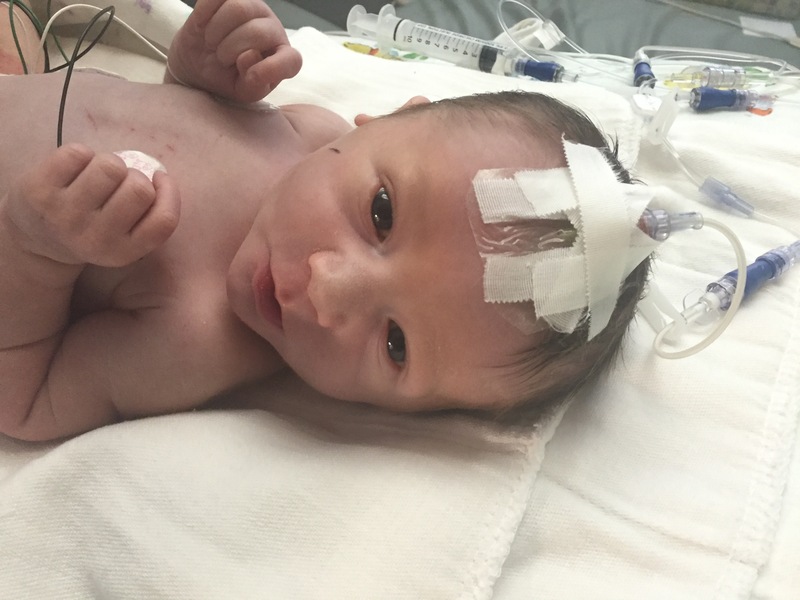 But nothing could prepare me for how difficult it would be to have an infant — my first baby — in the intensive care unit. It seems like we were met with challenges on every side when it came to Luke’s birth. I had had borderline high blood pressure during my pregnancy, which led my OBGYN to decide to induce me at 38 weeks. About one hour before Luke’s birth, my fluid levels dropped dramatically, which caused Luke’s pulse to plummet. They were able to pump me full of fluids, and fortunately, I dilated to a 10 shortly after that. Luke was ready to come out! 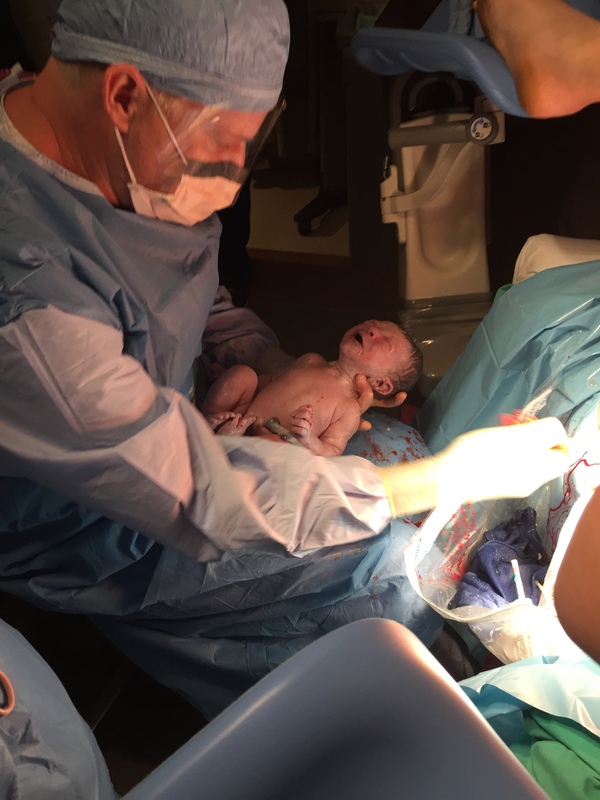 During delivery, my OBGYN told me at one point that the baby wasn’t happy and I really needed to push. I’m thinking, “I’m pushing with all I’ve got, but I can’t even feel anything post-epidural!” It turns out, I really needed to push because not only was Luke’s shoulder caught (shoulder dysplasia), but the umbilical cord was also wrapped around his neck … twice! Thanks to the use of suction and my skilled OBGYN, Luke was delivered without any long-term side effects. I was even able to hold him for about 10 minutes before he had to be whisked off to the NICU. Being able to hold that little guy right after the intensity of labor was one of the most rewarding moments of my life, and I bawled my eyes out when Luke started crying as soon as they pried him away from me. 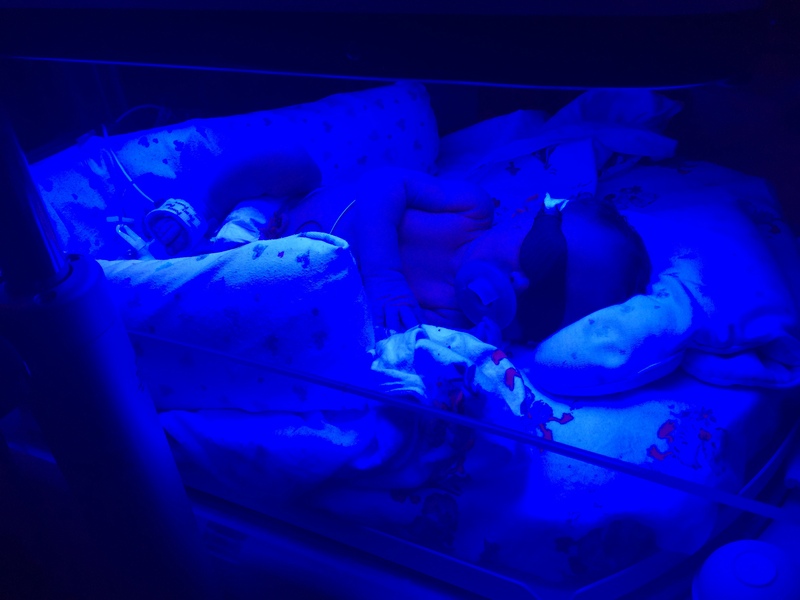 Chillin’ under the bilirubin lights. having to go through so many treatments as a newborn. Granted, I realize that his condition was much less serious than most of the other babies in the NICU, and I’m extremely grateful that he spent only 8 days there. After we had spent two nights in the hospital, I was discharged. This presented us with a new quandary. Where would I sleep? If I was to visit the baby once every three hours for feedings, how could that happen if I wasn’t at the hospital? The NICU room Luke was staying in was tiny and contained a small sofa. It was just enough room for one person to “sleep” on. So we made the decision that I would spend the night in the NICU that night. The NICU — with its crying, hurting babies, with the constant beeps of machines, with nurses coming in and out of the room throughout the night. As much as I wanted to be around my little guy, I couldn’t stand the thought of sleeping in the NICU. But I did it. Because when you’re a parent, I’m learning, you put the needs of your child above your own and do a lot of things that you really don’t want to do. Parenting is a lifestyle of sacrifice. As I attempted to sleep on that tiny couch that night, my baby cried his eyes out multiple times. This was where I reached rock bottom. I tried to feed him. And that was all I could do. I wasn’t allowed to hold him outside of feedings since we weren’t supposed to limit the amount of time he was under the bilirubin lights. I couldn’t even change his diaper, lest I mess up his catheter. I did all I could. And still he cried. I felt helpless. Around 1:30 a.m., I texted my husband out of sheer desperation, “I don’t think I can do this.” I considered asking him to come pick me up so I could sleep for a few hours at home. How I needed peace in those moments! As I listened to the music and drifted off to sleep for an hour or two, I felt the peace of God surround me and had a deep knowing that everything would be OK. Still so cute, even with a “unicorn” IV attached to his forehead! As dark as that hour was for me, God used it to show His faithfulness. The next morning, so many good things happened. First off, my breast milk finally started coming in! 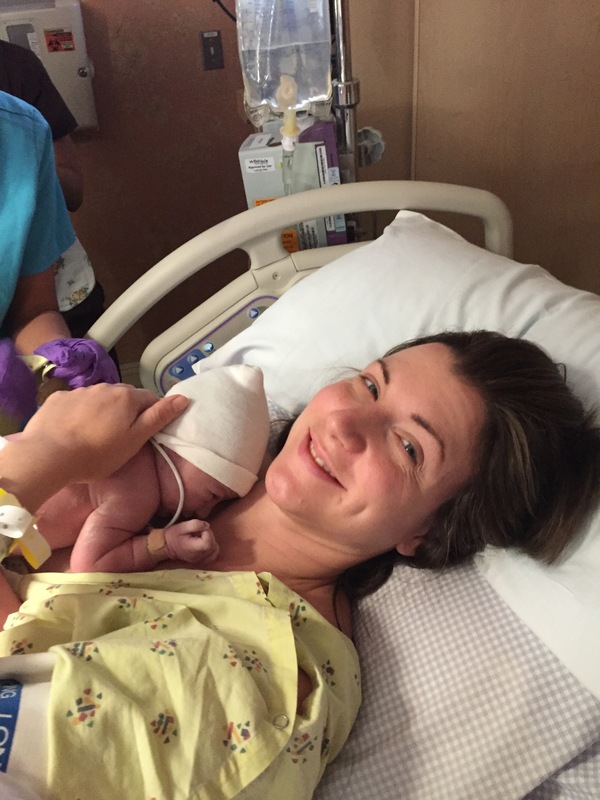 That is a huge answer to prayer for a momma of a 3-day old. Secondly, at 7 a.m., the door to Luke’s room opened and the neonatologist walked in. We had been waiting to hear whether Luke’s surgery would be at the hospital he was already at or if he would have to be transported to a different hospital. The neonatologist gave me the great news that his surgery would be at the hospital we were already at, saving us added stress and a bigger hospital bill. Later that day, we got the great news that a guest suite at the hospital had opened up for us. We had been pretty low on the waiting list for a room, but the lady in charge knew we were NICU parents and made an opening for us. The day we brought our little bundle of joy home! All of these great things that happened within a period of a few hours were proof to me that God was listening; that we weren’t alone. And the next day, Luke had his surgery, and it went great! We were able to discharge a few days later, and he’s enjoyed the last 2 weeks safe and sound at home. Sometimes it really is darkest before the dawn. It’s during those difficult times, like my night in the NICU, that we must hold on with all our might to the faith that we have in our Savior. When you’re going through those difficult season, I encourage you to hold on to at least one verse or song that will get you through. Mull that song or verse over and over in your head until it gets into your heart — until it becomes more than just words — until it becomes living, active faith. Lindsay – what a powerful story of God’s faithfulness! Thank you for sharing, and for not giving in to discouragement in such a challenging time. And that song – so good! Love you friend!